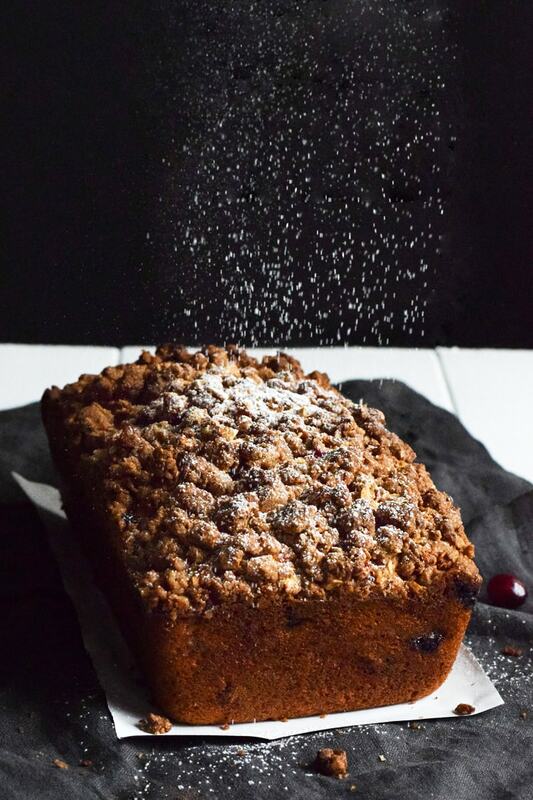 This Cranberry Banana Bread topped with a cinnamon granola crunch is super moist, fluffy and filled with cranberries. Perfect for the holidays! The countdown to when I visit my family in Oklahoma has officially begun – only 4 more days until I get to see my parents, brothers, sisters, nieces and nephews. I seriously can’t wait. Buuut since I have to, I think I have just enough time to share the holiday recipe that is sure to bring everyone together this season. 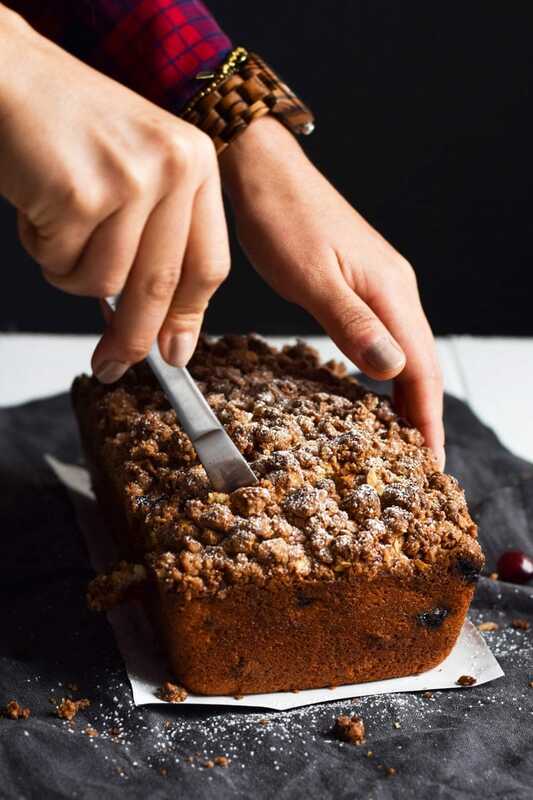 Let me introduce you to your new favorite baked good – Cranberry Banana Bread with Cinnamon Granola Crunch. 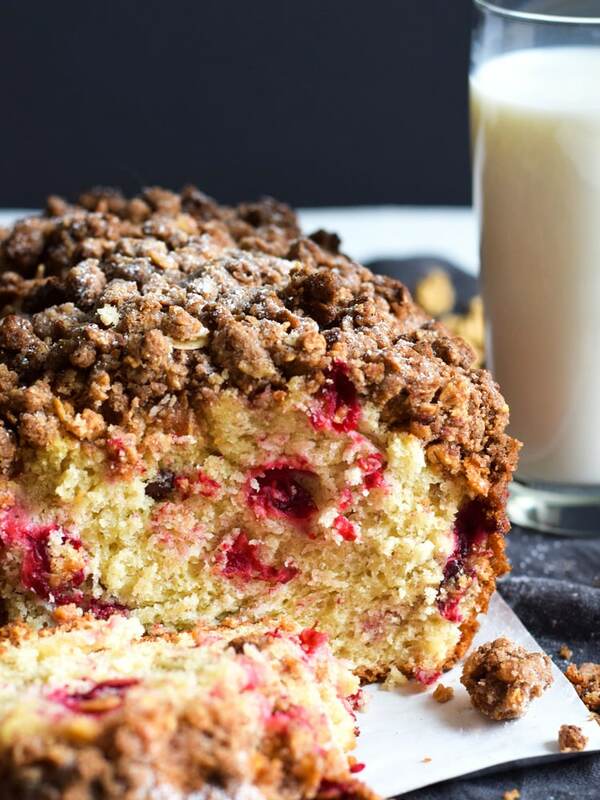 It’s made with mashed bananas and fresh cranberries, is topped with a crunchy granola streusel, has plenty of cinnamon for a little Mexican touch and it’s easy to make. Hey, there are worse things to be. The best part of this recipe? 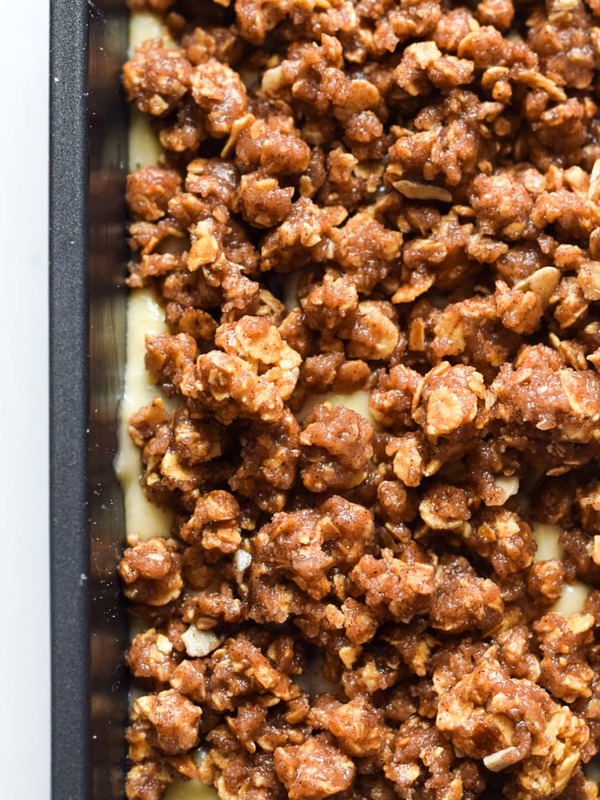 Definitely the granola streusel topping I made using Quaker® Simply Granola Oats, Honey & Almond. I mean, just look at those mouthwatering crunchy clusters. Ever had a muffin or a slice of bread that claimed it had a crunchy crumb topping, but all it did was leave you wanting more? Yeah, not this bread. Not with this topping. The Quaker® Simply Granola makes a thick crust on the top of the loaf that is so satisfying and filling, the only thing that makes it better is enjoying it with friends and loved ones. Even John told me that he plans on making a loaf on Christmas morning for his parents. Now that’s a compliment. While this recipe isn’t exactly Mexican, I couldn’t help but add a little Mexican touch to this by adding two heaping teaspoons of cinnamon into the crunchy Quaker® Simply Granola topping. It helps add even more depth and flavor to the bread that makes it simply irresistible. 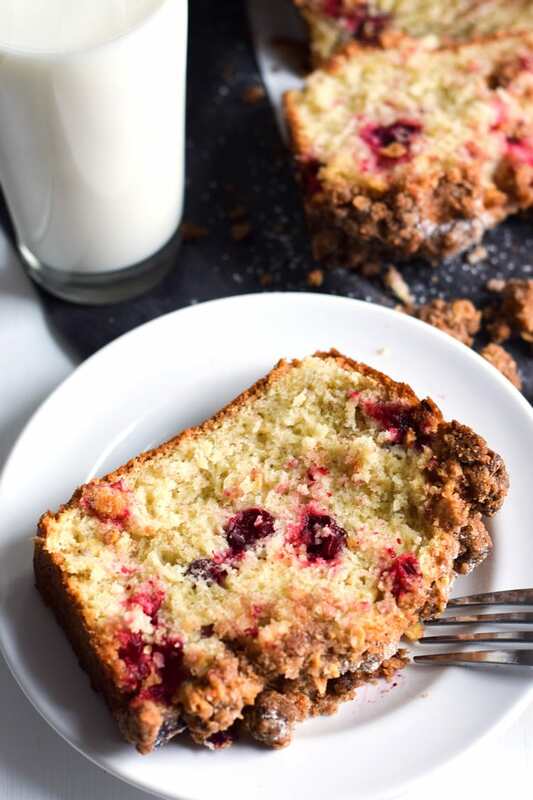 A slice of this cranberry banana bread + a big ol’ glass of milk = one happy Isabel. My parents and sisters would prefer this with a hot cup of coffee, but for me, it depends on the mood. Milk is good at night. Coffee is good in the morning. Otherwise, I’m up with the cats until 4:00am and that’s not good for anyone. Looking for more desserts? Try these! Preheat oven to 350 degrees. Grease a bread loaf pan and set aside. In a large bowl, mix together sugar and melted coconut oil until well combined. Add in the mashed bananas, milk, eggs, vanilla extract and mix together. Then add in the flour and baking powder and mix until all the dry and wet ingredients are well combined. Fold in the cranberries and pour batter into the greased bread pan. Top batter with the cinnamon granola topping and bake for 1 hour, or until a toothpick inserted into the center of the loaf comes out clean. Let cool slightly and enjoy! In a medium bowl, mix all the ingredients together until everything is moistened by the butter. Looking for more recipes using Quaker® Simply Granola?  Click here to see what other bloggers and foodies are making! 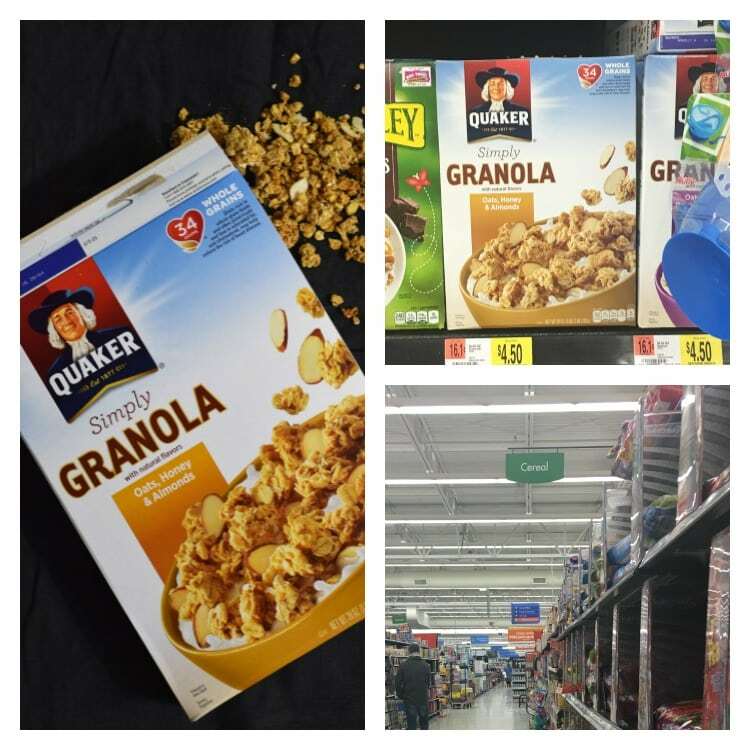 All of the products in this post, including the Quaker® Simply Granola Oats, Honey & Almond, were purchased here at my local Walmart. You can find the exact granola I used in the cereal aisle. And you’ll know it’s Quaker® because it’s the box with the cutest little jolly man on it. 🙂 Love it. Can you use dried cranberries? Thank you! I haven’t made it using dried cranberries, but I think you could and it would still turn out great. Sounds awesome, love the fruit combination. Can frozen cranberries be used? Hi, Nina. Yes, you can use frozen strawberries. I actually made a second batch after Christmas using frozen cranberries and it turned out great! do you really mean 15 cups of cranberries??? I love banana bread! I can only imagine how delicious this version must be! Girrrrlll, it is LIFE. CHANGING. Yes! Let me know if that works. I’d love to add it to the notes section if it does. 🙂 Thanks, Marylou! I’ve been waiting for you to post this ever since I say your instagram – this looks divine! Thank you so much, Ellie! I’m so proud of this recipe. It’s one of those that I thought would be good, but when I tried it, it surpassed all my expectations. Seriously the best sweet bread I’ve ever made.